I can't believe my little lola lady is already six months old! She's still sugary sweet and as much as it seems like the past 6 months have flown by, I can't even remember what life was like without her. I know these are all the icky cliche things that a lot of Moms always say, but it's genuinely how I feel so just go with me on it! Lo got super sick a couple weeks ago and even still, she tried her very best to still remain happy and smiling. She's our little reminder to keep it positive around here and we love her for it. She had her 6 month wellness check yesterday- she's growing like a weed and got her shots like a champ. There may or may not be less than 10 pounds difference between Ivy and Lola, so we may be having fights about who-stole-who's onesie sooner than we thought. Ruh-oh. PS- I love that I was so diligent in documenting Ivys growth from her infant to toddler years (Ivys due for another one, now that I think of it). It's so fun for me to look back and see how different they are (in every sense of the word) at the exact same age. I'm hoping that their stark differences will just make them BFF, you know... because opposites attract and everything, right? ...uhhh right!? My little Finn is just a month behind Lola. I love seeing what we have in store. By the way, Lola is SO cute. How can she look exactly like Ivy and completely different all at once? Lola is a 100% darling! Happy 6-month birthday to you, Lo! What!!!! 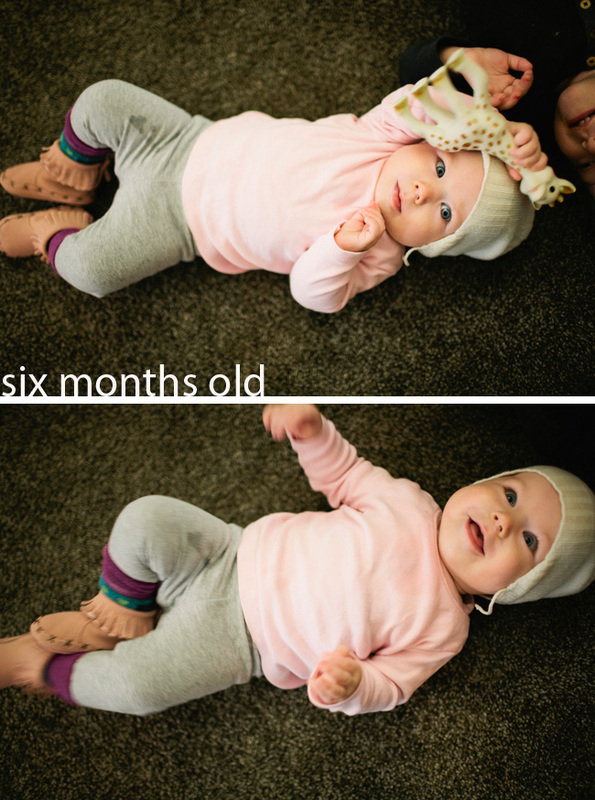 6 months, how did that happen already! I love those cute expressions of hers! ugh all this cliche mom stuff...teehee just kidding—i love it :) i love how little ones can remind of some of the most important things..like remaining joyful through lame-sauce circumstances, what a sweet lil girl that lola!! my husband and i are just sittin here, like, woah. dat baby cute. She's such a little cutie and I love her booties. Happy six months little one! RSV scares the crap out of me. My aunt had a preemie who almost died from it - so whenever I hear about it I feel terrified. By the way POST MORE RECIPES. I've been trying yours and they've been awesome. Oh Lola, what can you see up in your tree. 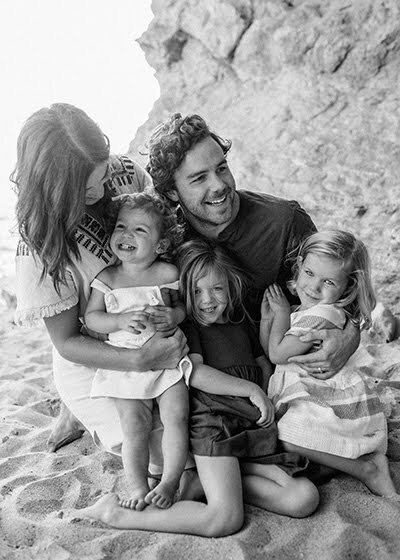 I love your blog and your little family. You are an inspiring bunch of people.